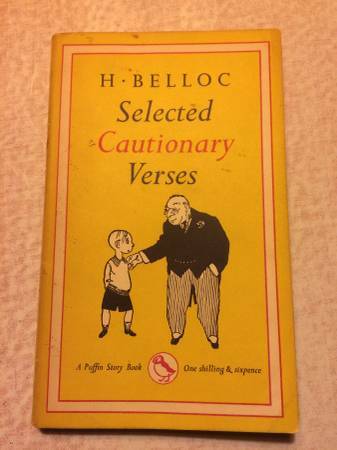 Puffin Story Book paperback edition of H. Belloc _Selected Cautionary Verses_ (costing One shilling and sixpence at the time) 1951 reprint of 1950 edition. Lavishly illustrated with drawings by B.T.B. and Nicolas Bentley. Excellent condition. 192 pp.